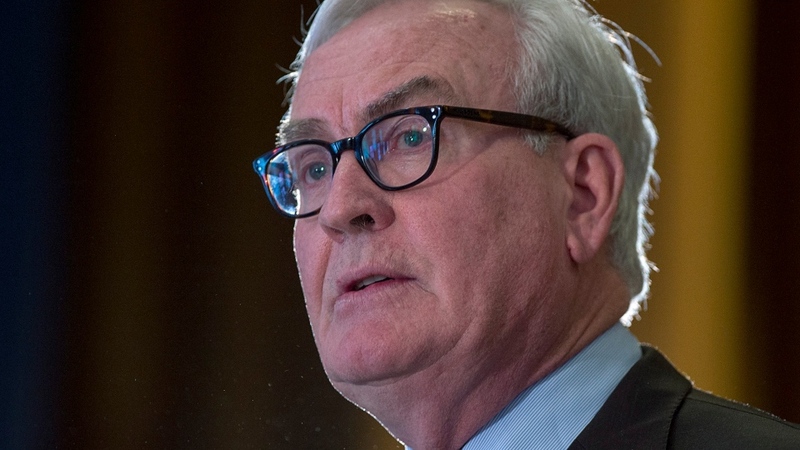 FREDERICTON -- It appears Kevin Vickers, the former House of Commons sergeant-at-arms, is poised to be the next leader of New Brunswick's Liberal party. The only other declared candidate, Rene Ephestion, leader of the party's Multicultural Inclusion Commission, has announced on Facebook he is withdrawing from the race. Hailed as a hero for helping to end the 2014 attack on Parliament Hill, Vickers was the first candidate to officially enter the race two weeks ago. 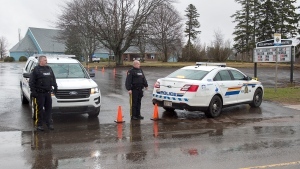 A leadership convention had been scheduled for June 21-22 in Saint John, but Liberal party officials were not discussing the state of the race Tuesday. Drew Cameron, a spokesperson for the Vickers campaign, said Tuesday it was their understanding that Vickers was the only candidate left in the race. Cameron said further discussions were planned with party officials in the coming days. "Until we hear more, we're just out here meeting Liberals, talking about the future of the party," he said from Saint John, N.B. In his Facebook post, Ephestion said his experience had been a good one. "I wish good luck to Kevin Vickers," he said. A senior party official had previously confirmed only two people had applied to become candidates, though party rules prevented identifying applicants until they were approved by a committee. The Liberal party's executive director, Keiller Zed, had said in an email Monday the party didn't expect word on the leadership until later this week or early next week. Vickers, a political neophyte in his early 60s, issued a statement last month saying he is looking forward to speaking with Liberals "about a new path forward." He has drafted a five-point plan that calls for growing the province's economy and population, improving health care, "transforming" education, ensuring environmental protection and making sure provincial finances are well managed. Vickers, who also served as Canada's ambassador to Ireland, has acknowledged spending many years away from the province, but he has also focused on his deep roots in New Brunswick. Vickers had a long career of public service, including 29 years in the RCMP. He also served as aide-de-camp for the lieutenant-governor of New Brunswick. He served as sergeant-at-arms for the House of Commons between 2006 and 2015. On Oct. 22, 2014, Vickers was serving as sergeant-at-arms of the Commons when he shot and helped take down a man armed with a .30-30 rifle. Michael Zihaf Bibeau had barged into Centre Block on Parliament Hill after killing honour guard reservist Cpl. Nathan Cirillo at the National War Memorial. The provincial Liberals under then-premier Brian Gallant won just 21 seats in an election last fall - one fewer than the Tories - and they relinquished their hold on power in November after losing a confidence vote in the legislature. Premier Blaine Higgs' minority government is relying on support from a third party - the right-leaning People's Alliance, led by Kris Austin. But that arrangement is set to expire in less than 18 months.